There is no denying the benefits of running. From providing a great cardio workout, to improving your physical stamina, to a general increase in your fitness level and sense of being. However, there is also no denying that running is not the most exciting exercise activity there is and is often the most abandoned of all exercises. In addition to helping athletes at all levels reach their fitness goals safely and quickly, Athletic Republic Pittsburgh also knows how to prevent exercise routines from becoming repetitive and discouraging. For this post, below is a list of ways for you to make running more enjoyable and help you reap the fitness benefits which running can provide. 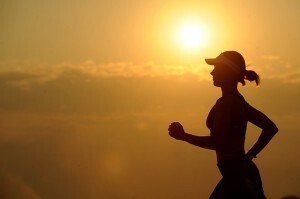 Running is the perfect time to listen to music and take your mind off the activity of running. However, not all music is best suited to running. Most runners make a playlist of their favorite music, and use this to provide momentum for their run. However, this isn't always the best way. Instead, look for albums where each track has been blended into the next, and where each song shares the same tempo (Beats per Minute). Even small breaks in the music can be enough for people to lose momentum, especially if the next song takes a while to get going. By keeping the music going, you are much more likely to keep your running going. There is nothing interesting about running around a football field or a running track. Instead of running around a loop, run to a destination. If you need to go to the grocery store to pick up something small, instead of driving, make this a running destination. If you plan on spending the night at a friends place, instead of taking a cab, make their house a running destination. While you may arrive a bit sweaty, the reward of getting somewhere or seeing somebody that you want is a great motivator. If you feel that your running technique or general sports training progress could use a helping hand, speak with a sports training professional at Athletic Republic Pittsburgh by calling 877 571 4042. Sports training professionals can discuss your current progress and goals and help you reach your desired fitness level quickly and safely. If you struggle to enjoy running and find that you give up after a day or two of trying it, it might be worth finding somebody to run with instead of just running by yourself. Ask around to your friends or colleagues and find somebody who shares a similar fitness goal as you. Once you have found somebody, find a local park or running track where you can all run at a comfortable pace and also make conversation. The more that you can do to make your exercise a social time, the more enjoyable the activity is going to be. If you are unable to find people you know, look online through your social media platforms for local running groups and don't be afraid to become involved. Every runner had to start somewhere, so be open about your fitness level and your goals and you are likely to find plenty more people in a similar position. Take a look through your phone's app store and find running apps which can track your routes and progress. After each run, check the app and see how much further you ran than the last time. If you can easily see the improvements in your running, you are much more likely to continue. If you have taken the tip above and have found somebody to run with, find an app which will allow you and your friends to share goals and progress. Make it a small competition as to who can run the longest or burn the most calories each time. Even small friendly competitions like this can be great ways to keep running interesting and prevent you from giving it up. If you find that your running or general sports training progress has hit a plateau, and you are feeling demotivated, don't give up. You just need a helping hand to get you over the hurdle. Speak with a fitness expert at Athletic Republic Pittsburgh by calling 877 571 4042. With extensive experience helping athletes at all levels improve their fitness and reach their fitness targets, professional trainers can create a sports training program that suits your individual needs.